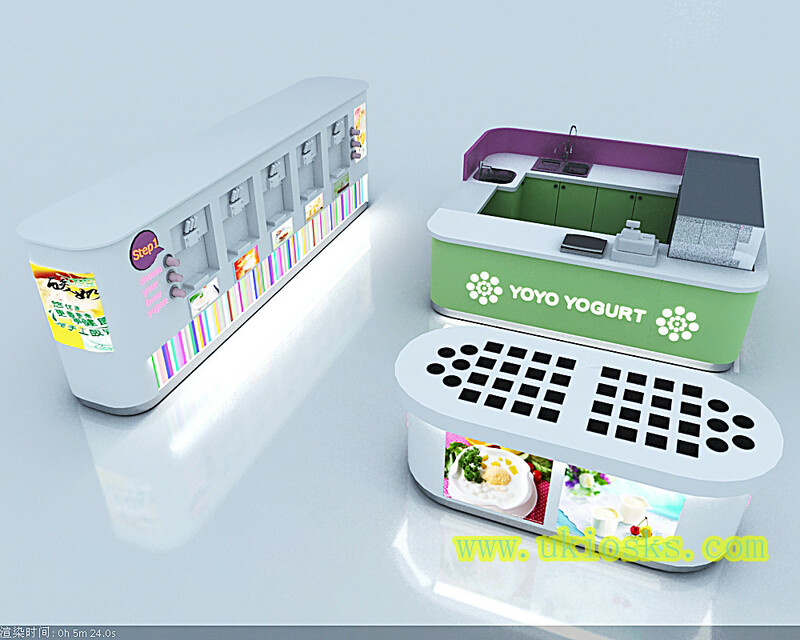 This is a frozen yogurt shop. size is 6m by 6m, mainly material is Plywood, laminate finish, artificial stone work table. 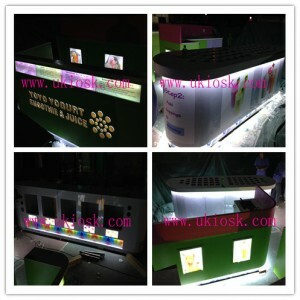 stainless steel skirting, tempered glass. 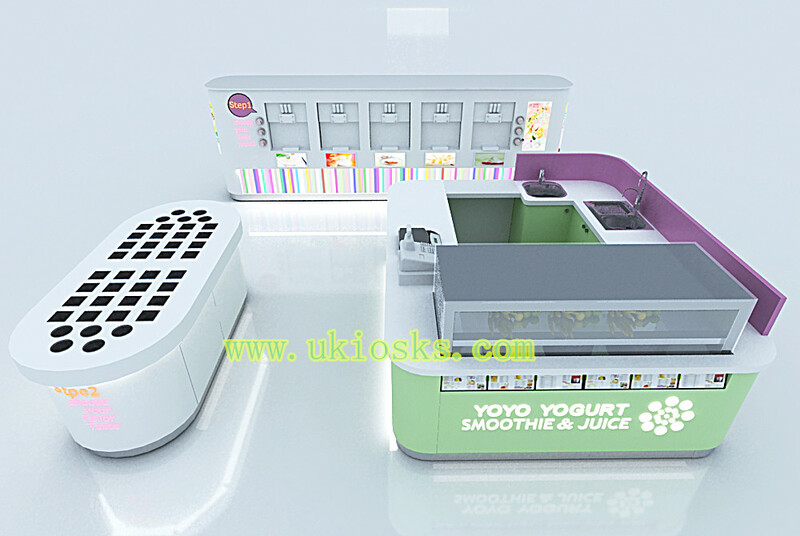 including a kiosk, with a topping, five yogurt machine, a sink, wooden cabinet, light box with your like picture, your Logo in acrylic. 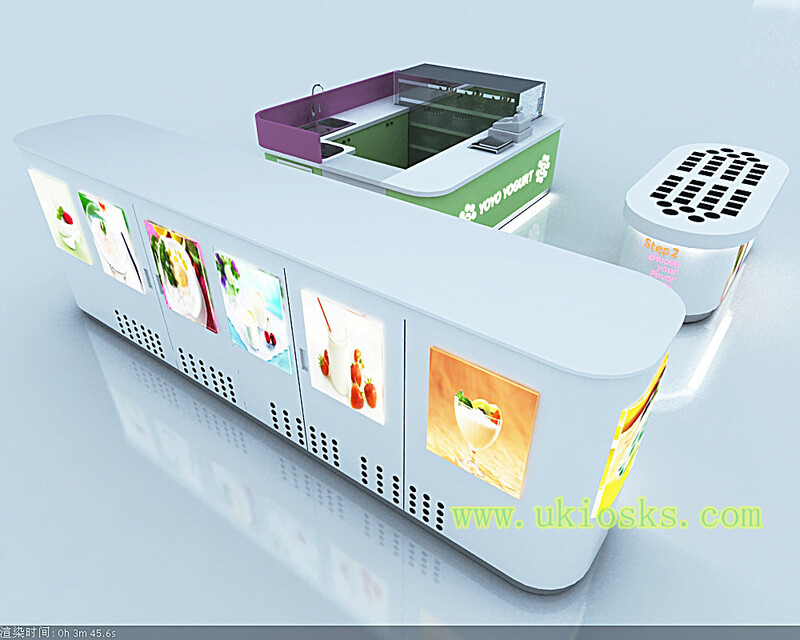 Color main color is white and green. 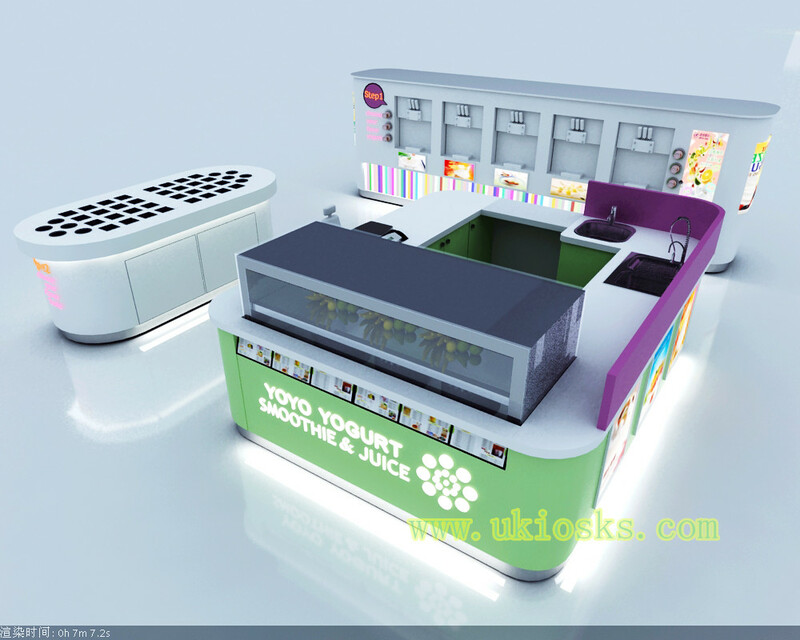 usage frozen yogurt kiosk in mall or shopping mall. packing this frozen yogurt kiosk + foam inside + wooden box outside. If you want open a frozen yogurt shop, just tell us your shop size, all of your requirement about this kiosk . 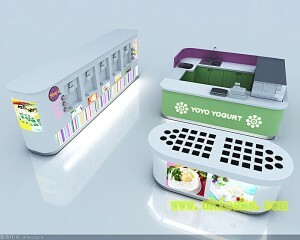 we will make a new design to you. 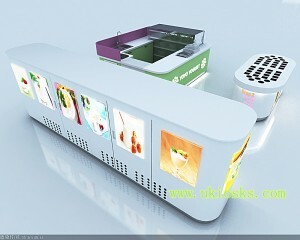 If you interest in our kiosk, please contact us, warm welcome visit our factory.